The world is a big place, unfortunately there are not that many Bitcoin (BTC-USD) to go around. Last winter we saw a prelude to what can happen when people in mass want to acquire Bitcoin, the price skyrockets. However, since then Bitcoin’s price has corrected by approximately 70%, and now that it’s close to production cost could represent a level much closer to fair value. Still though, the Bitcoin marketplace is a relatively small market, with almost exponential growth possibilities. So, what will happen in future waves of buy interest and popularity increases? What will happen when substantially more people decide they want to own Bitcoin in the future? Fortunately, Bitcoin can be broken down into much smaller units, Satoshis. And when all the Bitcoins are mined there will be about 2.1 quadrillion Satoshis someday. This is roughly comparable to the approximate 3.7 quadrillion cents that make up the world’s M1 fiat money supply. 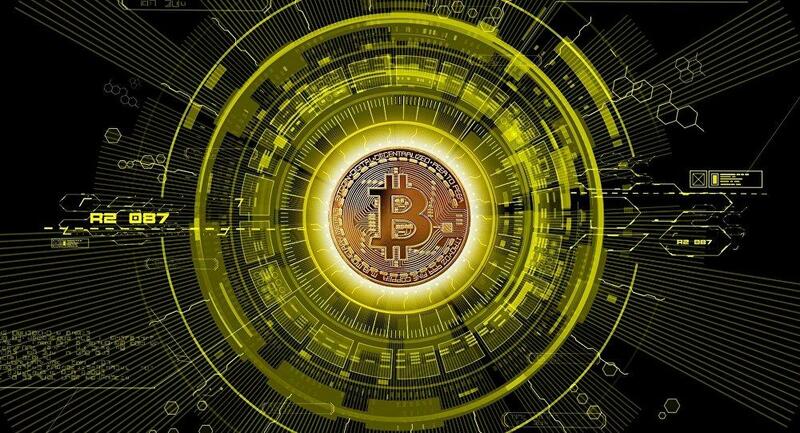 Bitcoin and its blockchain network coupled with the Lightning Network protocol represents a digital currency and a payment system that is superior to the current fiat money and financial system in many respects. In addition, Bitcoin is being adopted as a form of payment by an increasing number of companies, and is being recognized as a legitimate form of money, and/or an official commodity/asset by many governments. Furthermore, the number of blockchain wallets continues to grow, and there are over 28 million accounts now, which implies that a growing number people are joining the Bitcoin network. It appears likely that more and more people will continue to join the Bitcoin network going forward, and as an increasing number of active users begin trading and transacting in Bitcoin the price could go substantially higher. Despite the massive hype and endless storytelling by numerous commentators and individuals, still very few people own any Bitcoin. There is so much conflicting information out there that many individuals still believe that it’s a scam, an unsustainable bubble, or are just not sure what Bitcoin is for. The truth is that Bitcoin is a lot of things, but at its core it is a digital form of money coupled with a payment system (blockchain). There are add-ons to this system like the Lightning Network that increase the payment system’s efficiency exponentially. This new digital form of money and its payment system could work on a mass scale, possibly servicing hundreds of millions of people someday, and could eventually take substantial market share from the current fiat based monetary system. This is primarily because the use of Bitcoin could become much more convenient and efficient over time, as it is likely to become deeply intertwined with the internet and technology in general. Right now, the world is still in the very early stages of Bitcoin adoption. In fact, a recent study by Cambridge Center of Alternative Finance estimated that only about 3 million people actively use Bitcoin worldwide. 3 million people is a tiny fraction of the world’s population and represents fewer than 0.1% of the world’s population with internet access. It is likely that the number of active users will rise substantially over time, and so should the price of Bitcoin. In fact, there are over 28.3 million blockchain wallets now, implying that Bitcoin’s network effect continues to expand. Additionally, the number of blockchain accounts reaccelerated its growth recently. It took just 3 weeks to go from 26 to 27 million wallets, and it took fewer than 4 weeks to go from 27 to 28 million wallets. This represents growth of 2 million wallets in just 7 weeks as opposed to the 14 weeks it took to go from 23 to 25 million accounts earlier in the year. While only about 11% of all blockchain wallets appear to be active user accounts, the continued growth in account creation represents increased interest and likely includes many potential users of the Bitcoin network. As more companies begin accepting Bitcoin as a form of payment, and as the digital asset captures more popularity non active users are likely to transition into active users on the Bitcoin network. So, Why Would Mass Numbers of People Use Bitcoin? Bitcoin could become a highly functional and a highly desirable global currency someday. 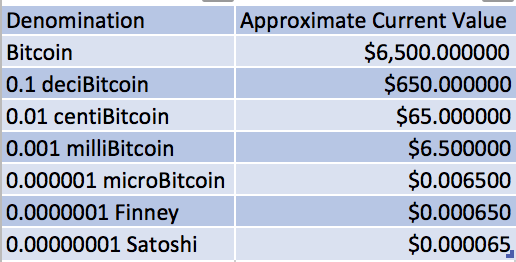 Below are some common currency metrics, and Bitcoin stacks up extremely well relative to fiat currencies. General Acceptance: Many major corporations are beginning to accept Bitcoin, and many governments have recognized Bitcoin as a form of money, currency, commodity, or official asset. Durability: Bitcoin is essentially indestructible, and aside from a massive unforeseen event that would completely wipeout out the internet, Bitcoin is safe. Divisibility: Bitcoin is easily divisible into much smaller units. Each Bitcoin can be divided into a unit of 8 decimal spaces (Satoshis), that’s 0.00000001 of one Bitcoin. There could be a possible 2.1 quadrillion Satoshis in circulation, once all the Bitcoins get mined. The ultimate number of Satoshis can be roughly compared to the approximate 3.7 quadrillion cents, which is about the total of the world’s M1 (easily accessible) money supply. Once Bitcoin reaches a certain price and due to its extensive divisibility an enormous amount of commerce can be conducted solely in Bitcoin. Stability and Consistency: Bitcoin is still a relatively new phenomenon so the sharp price swings should not come as a shock to people. With time, likely after Bitcoin achieves its full or near full valuation, substantial stability and consistency should materialize. Transportability: Bitcoin is extremely easy to transport, you can carry Bitcoin around in a relatively secure wallet on your mobile device to make easy and quick transactions, or you can carry Bitcoin around in a completely secure cold wallet device, like a Trezor. Scarcity: Only 21 million Bitcoin can ever be mined, so it is relatively scarce considering the world’s population is at around 7.6 billion. In fact, if every person on earth owned the same amount of Bitcoin, each one could only own 0.0276 of one. 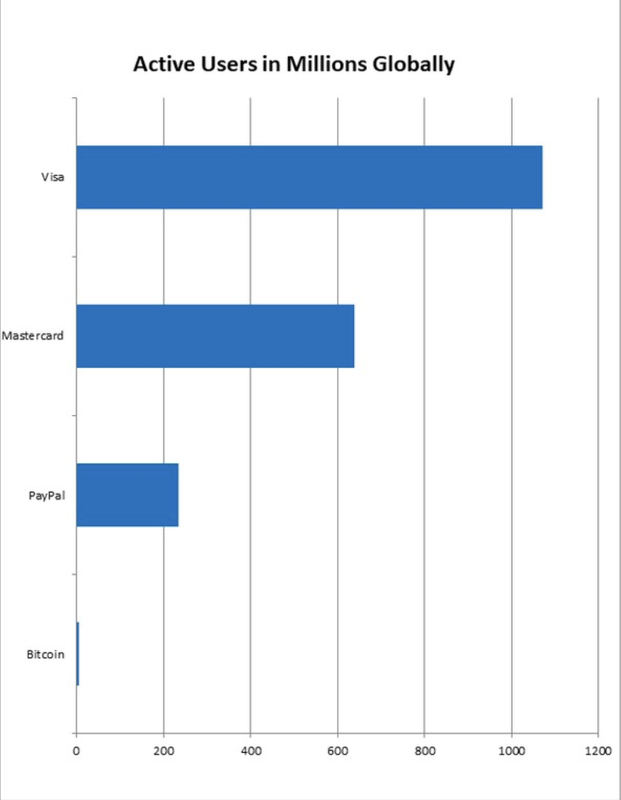 Recognition: Bitcoin is becoming widely recognized as a form of money. Many companies are starting to accept it as a form of payment and many people are looking towards Bitcoin as a medium of exchange of the future. Many governments are also starting to recognize Bitcoin as a legitimate form of money. Difficulty to Counterfeit: There has never been an instance of a counterfeit Bitcoin joining the blockchain network, and all available information implies that Bitcoin cannot be counterfeited. It can only be derived and delivered to the network through mining, a very specific, complex, and costly process. Worldwide adoption of Bitcoin may be just a matter of time. In addition to millions of people holding it and trading it, Bitcoin is continuously being accepted by an increasing number of businesses as a legitimate payment method. Notably, Bitcoin has recently become compatible with Microsoft (MSFT), and you can also use it with numerous other companies like Shopify (SHOP), PayPal (PYPL), Overstock (OSTK), Expedia (EXPE), Subway, and many others. How long is it until you can use Bitcoin with Amazon (AMZN), and then Alibaba (BABA), and then Apple (AAPL), and so on? The point is that Bitcoin is slowly but surely becoming a legitimate worldwide currency, a global digital form of payment. As it gets fully adopted by more businesses over time demand for Bitcoin should continue to increase. In addition to being accepted by more and more companies, many governments have also started to recognize Bitcoin as an official form of money, payment system, commodity, and/or legitimate asset. Bitcoin became recognized as an official commodity by the CFTC 3 years ago, in 2015, the IRS taxes Bitcoin as a property, and the Treasury classifies Bitcoin as a “convertible virtual currency”. These classifications essentially legitimize Bitcoin as a form of currency, and a legitimate asset class in the most influential market in the world, the U.S.
Japan, another crucial market for Bitcoin, recognizes Bitcoin as a legal form of payment in the country. In Germany, Bitcoin is now classified as a “unit of account” and is considered “private money”. In Switzerland Bitcoin is widely used and is even sold in the government owned railway company’s ticket machines. Norway’s tax administration officially recognizes Bitcoin as a form of money. The Swedish government is very favorable towards the country’s businesses using Bitcoin. Great Britain classifies Bitcoin as a foreign currency and treats it as “private money”. Australia officially treats Bitcoin as just another competing currency. In fact, just about all “civilized nations” chose to either treat Bitcoin as a recognized form of currency, or just simply regulate it very lightly, or don’t regulate it all. Even post-soviet era nations like Belarus, Ukraine, and many others are very open to Bitcoin operations within their countries. How Much Will Bitcoin be Worth As Demand Surges? Bitcoin is still in the very early stages of adoption. The Bitcoin and blockchain system represents a legitimate alternative to the current fiat monetary system. Furthermore, the majority of civilized nations have a relatively favorable view on Bitcoin from a regulatory perspective. 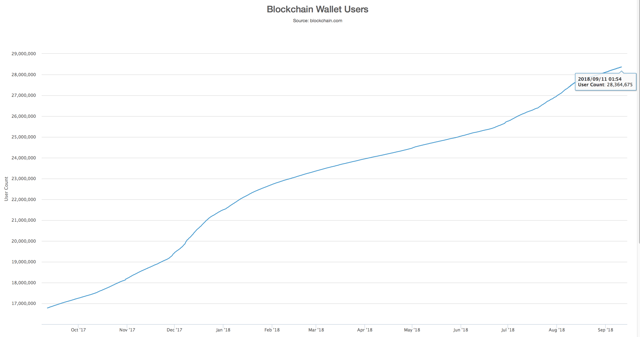 In addition, the number of blockchain wallets continues to grow, and has accelerated in recent months, implying that more people are continuing to show substantial interest in the Bitcoin network. Therefore, Bitcoin is likely to gain more acceptance over time as both a form a currency, and as an investment vehicle. This also implies that over time more and more people will want to own Bitcoin, to transact in, invest in, and hold or expand value in. Currently there are only about 3 million active Bitcoin users in the world. That’s only about 0.07% of the world’s roughly 4.2 billion people that have access to the internet worldwide. So, if only 1% of the world’s population with internet access become active Bitcoin users, the number of users on the Bitcoin network would rise to roughly 42 million. This represents a 1,300% increase in users, but is still just a tiny fraction of Bitcoin’s applicable marketshare. A substantial increase in users also implies a substantial increase in the price of Bitcoin, and a 1,300% increase from current levels would put the price of 1 Bitcoin at about $91,000. This may be where the next Bitcoin wave takes active users as well as Bitcoin prices. If you enjoyed reading this article, hit the “Like” button, and if you’d like insight about my future ideas, press the “Follow” link. Thank you for taking the time to read my article, and I hope that the information was helpful! If you’d like to learn more about how to best position yourself for a rally in Bitcoin and to receive information about other high alpha ideas, please consider joining Albright Investment Group. Subscribe now and receive the best of both worlds, deep value insight coupled with top-performing growth strategies. Join and get access to FULL ARTICLES that include technical analysis, trade triggers, comprehensive trading strategies, portfolio allocations, and price targets. Enjoy access to my best investment ideas, and trade alongside AIG’s top-performing core long portfolio which has outpaced the S&P 500 by about 73% over the past year. Previous articleThe Bottom Line: Can Blockchain Keep Gadgets From Spying On You? Next articleSome Legal Issues Surrounding Blockchain and Cryptocurrency Part 2: Regulation of ICOs.